Vinyl & Sound: Is the Purist Back? Recently an acquaintance challenged me on why he should spend “X” amount of dollars on a pair of speakers. The word he used was “ridiculous.” As a “live and let live” kind of guy and an aficionado in this field, I asked myself whether it was worth educating him or letting it fly. After all, there’s a level at which the sound and cost make sense (cents to the budget). I think this is about the experience of listening and feeling sound, the emotions felt, the chill you get from a beautiful inspirational sonata or the chest pounding sensation from a track that takes you back to a simpler time. Shouldn’t this be true for everything in life? Have you ever sat in that restaurant where the volume is ever increasing as the patrons all talk over each other? At the beginning of the evening that restaurant was a quiet place where one could hear the subtle music coming from the speakers, but as the room started to fill with people, the volume got louder and louder until it seemed like they had to yell to be heard. Why does this happen? The short answer, acoustics, and it can be accounted for in the design stage of any room, not just restaurants. Sound is vibration. Some of that vibration is traveling through air and some of it is injected into the solid surfaces it can otherwise bounce from. When you hear muffled speech from someone in the room next to you, enough of the wall is vibrating to bring that sound across into your room. We have two methods and several tools at our disposal for the proper treatment of unwanted sound, isolation and absorption. 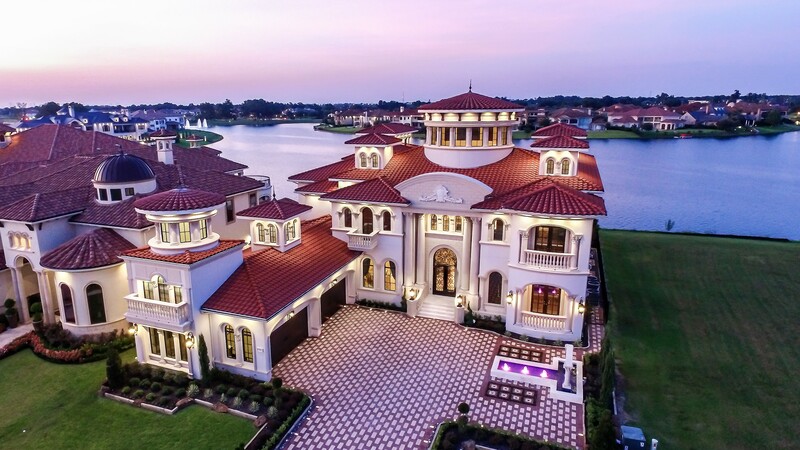 We worked with the homeowner, builder, and designer from the beginning starting with the floorplans creating this elegant estate home for a complete home automation system. 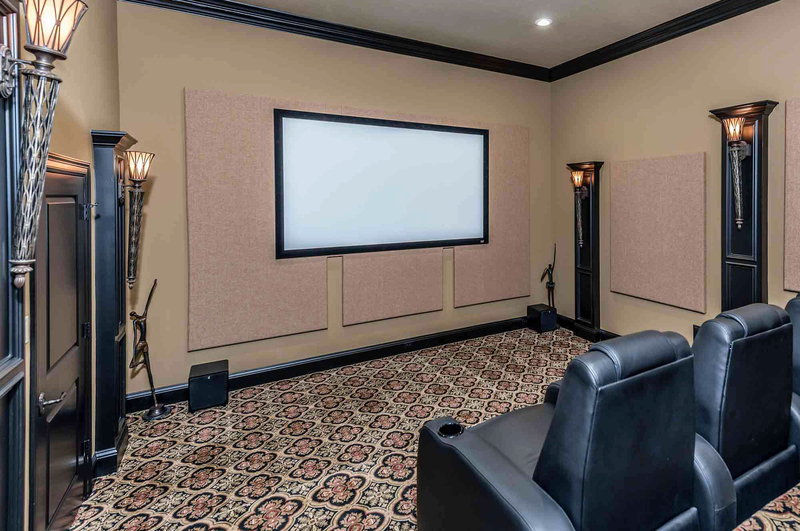 We designed, installed, and programmed the all the lighting control, audio/video, and security to provide a streamlined system that would be convenient for the homeowner and beautify the home. A designer presented us some beautiful French antique ( still with some original color) full-size shutters. Our job was to custom cut the shutters and install them along with the TV for a perfect fit to hide the TV above the fireplace. Measure twice, cut once was no truer in this project by intricately cutting the delicate French shutters then carefully installing them on the fireplace. One of our specialties as an electronics automation company is to hide the electronics so wood-working becomes just one of our many tools for a project. The shutters are given a new life hanging beautifully in this remodeled living room. With very unusual lighting fixtures and multiple pieces of beautiful art, lighting was key to this designs. Controlled lighting and sound that was clear and undetectable, we accomplished our goals. Dramatically beautiful and stunning results. With lighting being the most important aspect of this room, it was important that all lights functioned at their optimum result to light the room and still create ambience. Working with Echo, Eklektik Interiors was able to let each amazing crystal fixture, work together at certain percentages to light but not over power. 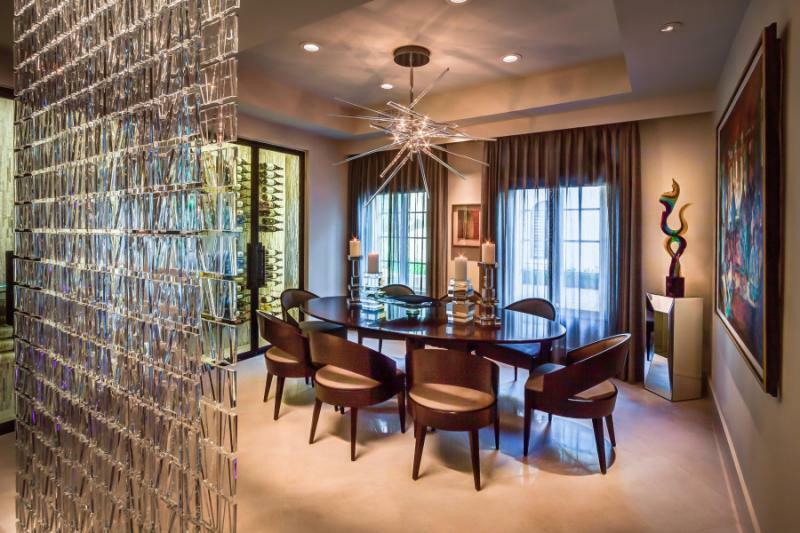 Striking results, each fabulous crystal fixture compliments the other. Speakers in the ceiling were hidden but have a great sound. All art pieces were spotlighted to confirm their importance.